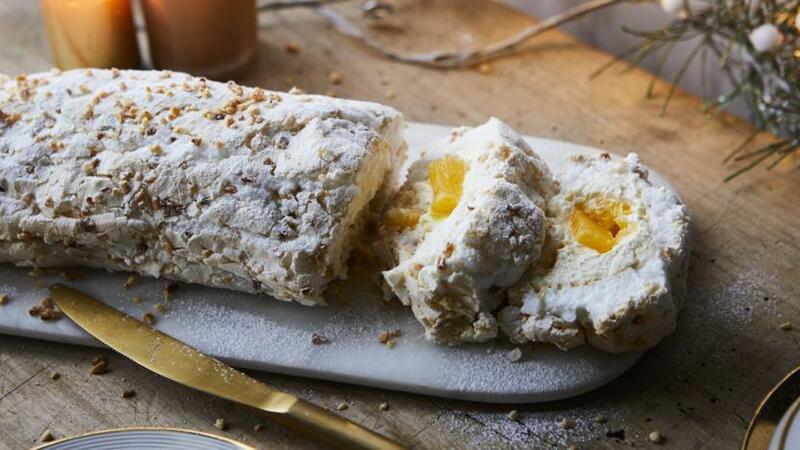 Clementines add a fresh and festive touch to Mary Berry's showstopper roulade. A great one to make ahead when you are feeding a crowd. Preheat the oven to 200C/180C Fan/Gas 6. Grease and line a 33x23cm/12x9in Swiss roll tin with baking paper. 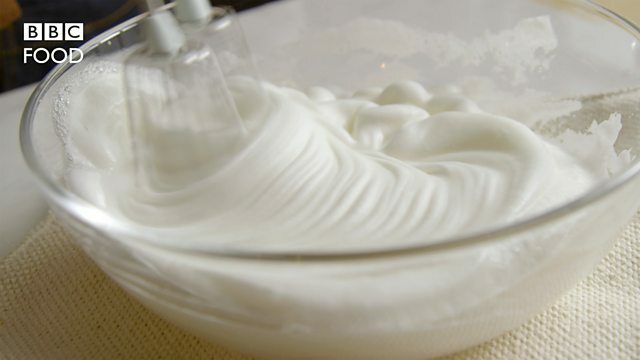 Whisk the egg whites in a clean, large bowl using an electric mixer. Beat until stiff peaks form when the whisk is removed. Gradually add the sugar, a teaspoon at a time, whisking between each addition. Whisk until very stiff and glossy peaks form and all the sugar has been added. Fold in three-quarters of the hazelnuts. Spread the meringue mixture in an even layer in the prepared tin and sprinkle with the remaining hazelnuts. Bake for about 8 minutes, then lower the oven temperature to 160C/140C Fan/Gas 3 and bake for a further 12–15 minutes. Remove the meringue from the oven and leave to cool. After a few minutes, turn it out onto a sheet of baking paper (hazelnut-side down). Peel away the paper from the base of the meringue and set aside to cool completely (about 10–15 minutes). 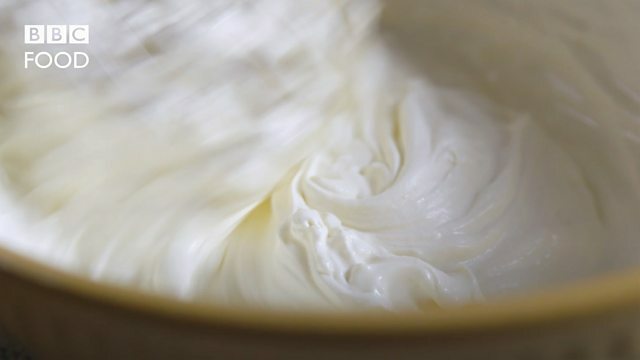 Whip the cream until soft peaks form when the whisk is removed. Fold in the liqueur and spread it over the meringue. Scatter over the chopped clementines and grated white chocolate. Starting at a long side, tightly roll up the meringue to form a roulade. Chill in the fridge until ready to serve. Decorate with icing sugar to serve. The filled roulade can be made up to 12 hours ahead. It freezes well without the clementines, which could be served separately once the roulade has thawed.